This plant group is extremely vast and diverse, from the very small and intricate to the striking and architectural. There is a cactus or succulent to suit everyone, whether young or old. The majority of cacti and succulents grow in desert and savannah situations with low moisture, dry air, bright sunshine, good drainage and high temperatures. However there are succulents such as Schlumbergera and Epiphyllum which grow as epiphytes in rainforests. These require semi-shade and humid conditions. So to cultivate cacti and succulents successfully it is best to research their native habitat, to provide their ideal growing conditions as far as possible. Cacti and succulents utilise the Crassulacean acid metabolism (CAM) photosynthetic pathway. Although this makes the best use water, it is much less efficient than other photosynthetic pathways, hence the slow growth of cacti and succulents compared to other plants. The compost must be open and free draining, to help prevent waterlogging and recreate natural habitat. Cacti compost is readily available from garden centres. Alternatively, use John Innes No 2 with up to 30 percent extra grit or fine gravel by volume, to help with drainage. Re-pot pot-bound plants in spring, into a pot only slightly larger in diameter. Holding spiny specimens can be tricky when re-potting so use thick strips of folded newspaper as tongs or an oven glove. Most cacti and succulents can be placed on a sunny or bright window all year round. Forest-growing epiphytes such as Rhipsalis, however, need semi-shade. During the winter it is beneficial for plants to have cool night temperatures of 8-10°C (46-50°F) as a minimum, for a period of rest. Central heating is not usually a problem for these plants over the winter; just remember they need sufficient water to prevent them from shrivelling. Cacti and succulents will perform and look better if you allow them to follow their natural seasonal pattern. A period of rest, to mimic the dry season, to be then followed by an increase in water to act as the rainy season will ensure a good display of flowers. Always check as to what seasonal treatment is required as some will need to rest in the winter to then flower in the spring, while others will rest over summer to flower in the autumn. Pruning depends on the habit of the plant and is not often necessary. Propagation is a great way of tidying up an old plant, reducing the height of leggy specimens and thinning-out overcrowded pots. Dust can build up on cacti and succulents and make them look unsightly. Keep on top of the dusting by using a soft paint brush or blusher brush to remove the dust from in and around the plant. A damp cloth also works really well on smooth succulents. Branching habits can have their side shoots and stem removed to produce stem cuttings. Columnar types are propagated by stem cutting. Clump-forming species readily produce offsets which can be lifted and divided. Some fleshy leaves make great leaf cuttings, which are so simple and great fun. Most cuttings require time to dry and produce a callus on the wound, this can take from a week to a day depending on size and type. 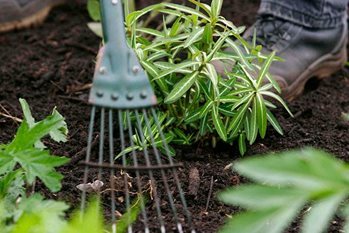 Use John Innes No 1 with up to 30 percent by volume of added grit and keep the compost on the dry side to prevent the cutting rotting off. Always check what your individual specimen will require. Aeonium arboreum ‘Atropurpureum’: A sub-shrub with fleshy deep red-purple leaves. Height 1m-1.5m (3¼ft-5ft) spread 1m-1.5m (3¼ ft-5ft). Aloe vera AGM: A rosette forming evergreen perennial with fleshy narrow dull green leaves. Height 50cm-1m (20in-3¼ft) spread 50cm-1m (20in-3¼ft). Ferocactus glaucescens AGM: A globose to clindric cacti with prominent ribs and spines, bearing yellow flowers in summer. Height 10cm-50cm (4in-20in) Spread 10cm-50cm (4in-20in). Kalanchoe diagremontiana: An upright succulents with triangular leaves, that produce rows of plantlets along each edge. When they are ready the plantlets fall off and form a new plant. Height 50cm-1m (20in-3¼ft) spread 10cm-50cm (4in-20in). Mammillaria bobycina AGM: This cactus forms clusters of cylindrical stems, which are covered in white hairs and brown spikes. Height 10cm-50cm (4in-20in) spread 10cm-50cm (4in-20in). Lithops karasmontana AGM: A clump forming succulent, that produces flat topped stem bearing pattered tops. Producing daisy like flowers in autumn. Height to 10cm (4in) spread to 10cm (4in). Adding cacti and succulents to your outdoor planting can bring a touch of the exotic and make a striking addition to your garden. Warm coastal situations, Cornwall and inner city gardens will find that there is a wide range of cacti and succulents that can be grown outside. Cooler parts of the country will need to wrap up specimens for winter protection. Alternatively, planted containers can be bought in from the cold if space can be found on a well-lit windowsill. The ideal situation for such a display would be full sun and well drained. Aloe aristata AGM: An evergreen perennial that produces tight rosettes of fleshy lance shaped leaves. They produce panicles of orange tubular flower in autumn. Height 10cm -50cm (4in-20in) spread 10cm-50cm (4in-20in). Agave americana AGM: An evergreen perennial forming a large rosette of rigid spiny-edged grey-green leaves. They produce panicles of green and yellow flowers in the summer. Height 1m-1.5m (3¼ft-5ft) spread 1m-1.5m (3¼ft-5ft). Opuntia cantabrigiensis: An evergreen perennial that has pad-like flat jointed stems, which are oval to obovate in shape. Commonly known as the Cambridge prickling pear. Height 60cm-1.5m (2ft-5ft) spread 60cm-1.5m (2ft-5ft). Opuntia humifusa: A clump forming cactus with a low growing, spreading habit, which has flattened green pads covered in clusters of short brown bristles. Height 15cm-50cm (6in-20in) spread 30cm-1m (20in-3¼ft). Echeveria elegans: Succulent perennial forming clumps of evergreen rosettes of spoon-shaped whitish leaves. Height 0-10cm (0-4in) spread 10cm-50cm (4in-20in). Echeveria secunda var. glauca: Succulent perennial forming clusters of rosettes of narrowly wedge-shaped, pale glaucous-grey leaves. Height 10-50cm (4-20in) spread 10cm-50cm (4in-20in). Hesperaloe parviflora: An evergreen perennial with clumps of narrow strap like leaves, which are fringed with hairs. Red tubular flowers are produced on flowering stalks from late spring-late summer. Height 60cm-1.2m (2-4ft) spread 60cm-1.2m (2-4ft). Parodia magnifica: A cactus with usually solitary, globose to cylindrical stems to 15cm tall, bearing bristly yellow spines and funnel-shaped sulphur-yellow flowers to 5cm across in summer. Height 10cm-50cm (4-20in) spread 10cm-50cm (4-20in). Pests: Mealybug occurs as white patches on stems and bronzed areas may indicate glasshouse red spider mite. Scale insects cause patching on stems and leaves. Diseases: Cacti and succulents suffer from rots such as Erwinia, fusarium and botrytis. These are caused by insufficient or excess water and cold temperature. Try to treat with a fungicide as soon as you see the infection and improve growing conditions. However, they can be difficult to control. Poor cultivation: Overwatering will stunt growth and cause blistering due to oedema; prolonged overwatering with eventually lead to rot. Underwatering also limits growth and causes shrivelling. Affected plants will become misshapen and scarred. Lack of light produces weak and misshapen specimens and cold damage produces patches on the surface. Cactus corky scab is a common problem where growing conditions are too humid or bright. Brown or buff patches form on the skin of the plant and gradually shrink to form a scab surrounded by unaffected areas. Gradual reduction in humidity and light can prevent further scabs but abrupt changes can make the problem worse.